Mayo hope to have a new senior manager in place by the third week in November, it was revealed this week. 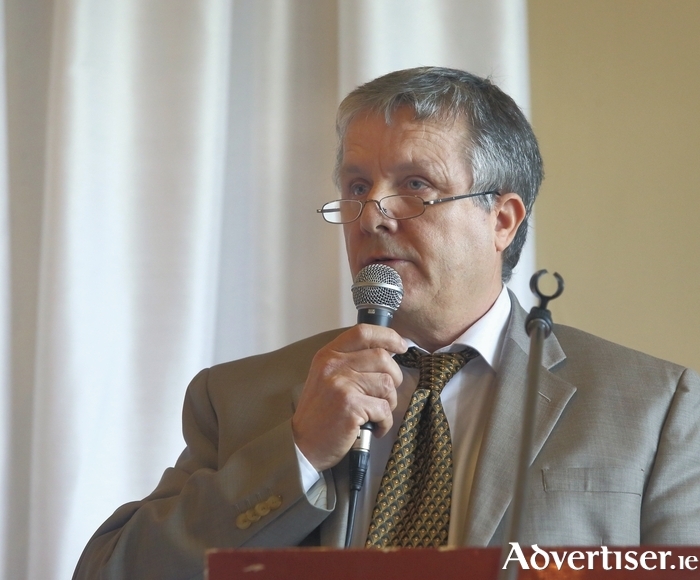 Speaking at the October meeting of the Mayo GAA county board, chairman Mike Connelly said the board had now opened up nominations for the position and the nominations process would close on Sunday November 1. Connelly read from a prepared statement at the meeting where he outlined the timeline of the incident that led to Pat Holmes and Noel Connelly resigning from their position as joint senior managers after a vote of no confidence from the senior panel. Outlining how things would move forward, Connelly said: "The one thing I do know, this situation must never happen again. Before we appoint a new manager, we need to put a charter together between the team and the County Board. I’ve asked Pat Rowland of Elverys [which sponsors the Mayo GAA teams and are naming rights holders on MacHale Park] to provide a facilitator to tease out the issues and provide a charter that is acceptable to the players and the County Board. If there are issues in the future, there will be a road map to solving the issues internally." There was divided opinion from club delegates as to whether the reasons that the senior panel had voted no confidence in the previous management should be outlined to the delegates after an investigation into the events was carried out by an independent person which has been agreed to by the players and the county board. Connelly told the meeting: “There has been a lot of talk and there have been a lot of reports and there has been a lot of different things out there, and I don’t think, there’s no point in going back. We are where we are. We need to solve this problem, and as I said, we need to put a road map in place where this never happens again." A number of delegates also questioned at the meeting if there were any outside influences playing a role in the events that have unfolded over recent weeks in relation to the senior job. The board also gave their approval at the meeting for the reappointment of Enda Gilvarry for a fourth year in charge of the Mayo minor team. The appointment of Gilvarry had raised the ire of a number of delegates at the previous board meeting who wanted the position to be put out for nominations. Gilvarry was ratified for another year at the meeting. The position of u21 manager was also filled at the meeting, with Ballaghaderren's Michael Solan being appointed to the position. Solan had been nominated for the role along with former senior manager John Maughan and Anthony McGarry. After the interview process was carried out Solan was nominated along with his backroom team of Joe Keane and John Ginty and they were ratified by the delegates at the meeting. Page generated in 0.0636 seconds.